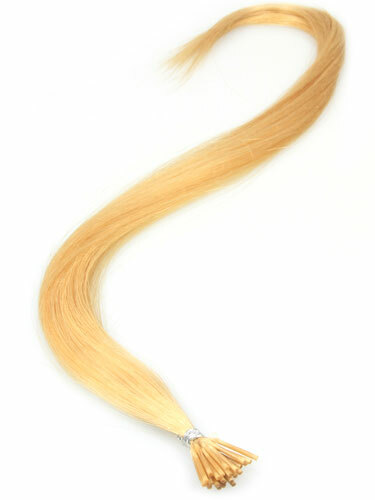 For high quality, healthy, and long lasting hair extensions, the only way is Remy. Remy hair is the best of the best. No, it’s better than that - it’s like your own hair, but so much sassier! Remy hair keeps the cuticles in-tact, meaning each strand is silky smooth, and a double of your own. Combined with incredible quality Keratin for the bonds, the I&K Pre Bonded Stick Tip Remy Hair Extensions are so kind to your hair. Not only can they be applied in an instant, they can be removed easily too - with no damage to your natural hair. Cut it, straighten it, curl it - with Remy hair, you can do it all. From brilliant black and beautiful brunette, to bombshell blonde and radiant red, just pick your shade and you’re good to go. In two lengths, you can create a custom look for your locks with pre bonded hair extensions. Add volume, gain length, and still look like you. How? It’s all in the natural blend of the Remy hair! I really love this product! I have been using it for years and it is really good. Everybody should have one of these. Very fast delivery, extremely soft, good condition. Brilliant purchase.